Promotion-chasing Oxford United and Cambridge United played out a goalless draw at the Abbey Stadium. Luke Berry had a fine chance to give the hosts an early lead but nodded Max Clark's corner over the bar. 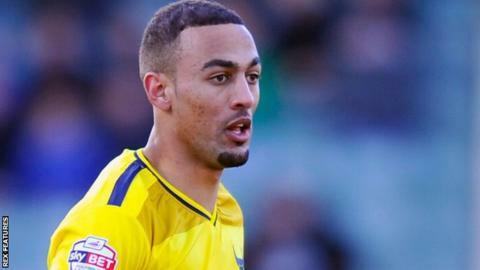 After the break Chris Maguire teed up Kemar Roofe, but the Oxford forward headed his inswinging cross high. The visitors, who remain second in League Two, had calls for a penalty waved away late on when Berry looked to have handled Liam Sercombe's cross. The result means that Oxford had their four-point cushion on third place halved by virtue of Plymouth's 3-2 win against York. Meanwhile, Cambridge slip a place to 12th. Match ends, Cambridge United 0, Oxford United 0. Second Half ends, Cambridge United 0, Oxford United 0. James Spencer (Cambridge United) wins a free kick in the defensive half. Attempt blocked. James Spencer (Cambridge United) right footed shot from outside the box is blocked. Attempt blocked. Cheyenne Dunkley (Oxford United) header from the centre of the box is blocked. Corner, Oxford United. Conceded by Josh Coulson. Substitution, Oxford United. George Waring replaces Chris Maguire. Substitution, Cambridge United. Robbie Simpson replaces Max Clark. Substitution, Cambridge United. Zeli Ismail replaces Ben Williamson. Corner, Oxford United. Conceded by Ryan Haynes. Chris Maguire (Oxford United) wins a free kick on the left wing. Substitution, Oxford United. Danny Hylton replaces Jordan Bowery. Attempt missed. Ryan Haynes (Cambridge United) left footed shot from outside the box is too high from a direct free kick. Chris Maguire (Oxford United) is shown the yellow card for a bad foul. Attempt missed. James Spencer (Cambridge United) right footed shot from the centre of the box misses to the right. Corner, Cambridge United. Conceded by Chris Maguire. Attempt missed. Chris Maguire (Oxford United) right footed shot from the centre of the box misses to the right. Attempt missed. Chris Maguire (Oxford United) right footed shot from outside the box is close, but misses to the right.